Bousquet’s (Ski Area) in Pittsfield, Massachusetts opened in the winter of 1933 on a snowy hillside on a farm in the Berkshires of western Massachusetts. There was not a single ski lift in the eastern United States. 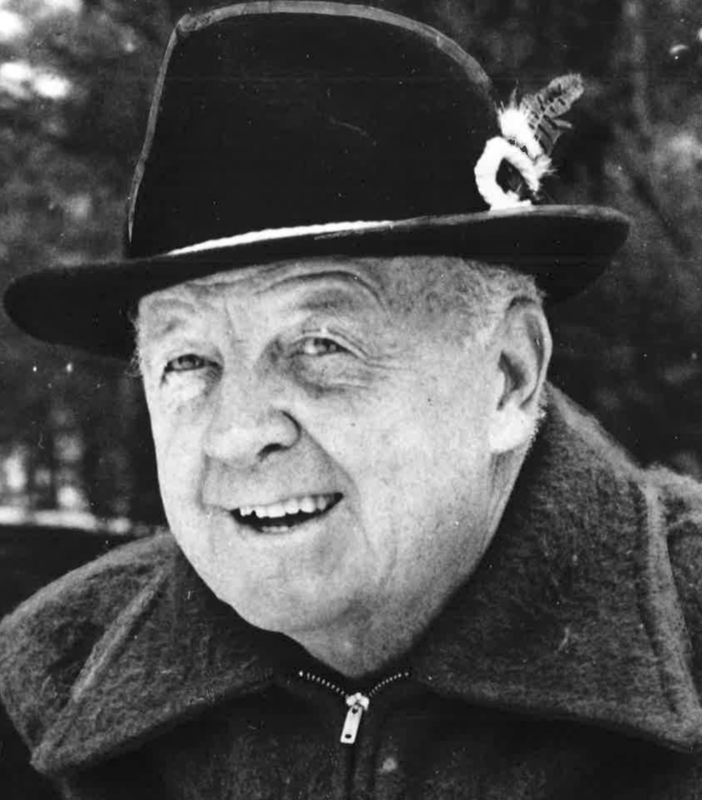 Owner Clare (short for Clarence) Bousquet would install them as soon as they were available, staying with the cutting edge, always showing the way to healthy profit for small ski areas at the core of the sport’s growth in the 1930s and 1940s. Born in 1889, Clare started his business career as a building contractor who also owned a thriving sporting goods store and an auto supply business. In fact, he was profitable enough to bankroll his hobby of brainstorming in his vintage airplanes. However, this risk-taker’s greatest business move came after a heart attack in his early thirties when he retired to a 400-acre farm in Pittsfield, Massachusetts. Quick to spot a new market, it didn’t take long for Clare to retrofit a two-car garage into a canteen and add a couple of classic New England outhouses to his pastures. By 1933, his 500 vertical foot hill was known to skiers as Bousquet’s Ski Grounds. Forty-eight snow trains had transported 35,000 skiers to Bousquet’s by 1942, an average of 7,000 a year, the most of any ski area in the Northeast. Former president Gerald Ford learned to ski here in 1938 while he was attending Yale. By 1945, he had ten rope tows going, powered by industrial engines, lifting 18,000 skiers an hour to the top, by far the east’s greatest skier capacity. Clare leveraged that by offering the first U.S. night skiing. In 1939, Clare invented the Bousquet Rope Tow Gripper, a nut-cracker-like device that clamped down on the rope and pulled the skier by a belt. Some 500,000 Bousquet Rope Tow Grippers were sold wherever there were skiers. In 1940, in a single day, buses carried 2,600 passengers from Pittsfield station to Bousquet’s. Another thousand more came by car. Thirty-six hundred skiers at one area was shocking, an unheard of figure. To keep growing, he installed area-wide snowmaking in 1956. The idea was so new that it was featured in a story in Life magazine. By then, Clare Bousquet had made Bousquet’s – despite its modest size – the forerunner of the huge, healthy, four-season resorts of today, a beacon that inspired many to make the ski business their life in the early days of the alpine sport. Clare (Clarence) Bousquet was elected posthumously to the U.S. National Ski Hall of Fame in 2003. If you notice any errors or inconsistencies in Clarence Bousquet's bio, click here to let us know.